is located at 18 Broad Street in New York City and the main building was completed in 1903, while the addition was completed in 1922. The main building was designed by George B. Post and has 7 floors. The addition was designed by Trowbridge & Livingston architects and stands 258’ tall with 23 floors. This stock exchange is the largest in the world by dollar volume and is nicknamed “the Big Board”. 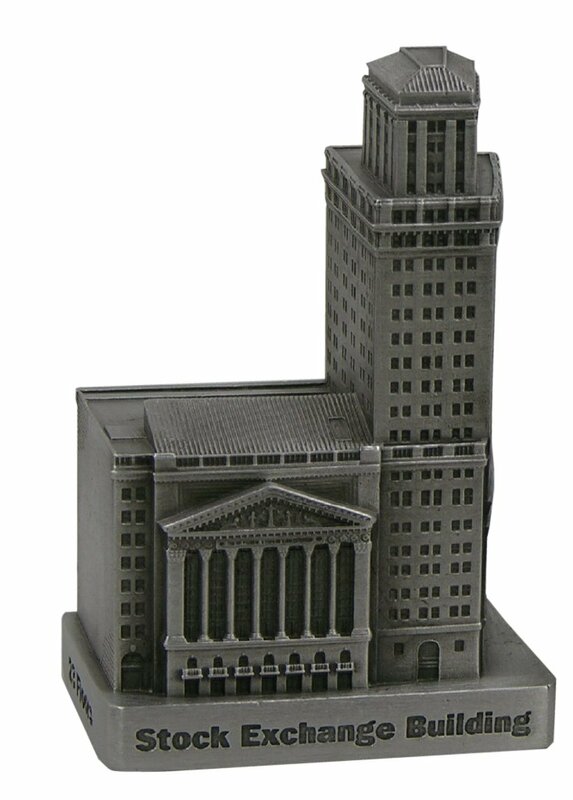 This pewter replica stands a little over 3-3/4 inches tall and is finished in antique pewter. This model’s scale is 1 inch = 75 feet.